This review is a great find for all mommies to be. I wish I would of found this when I was pregnant with Brendan. 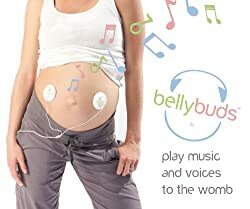 This great product find is called Belly Buds which retail for $49.99. I really love this product and cant wait to use it for our next baby. I received this product for review purposes. My opinions are honest and I was not paid for this review.